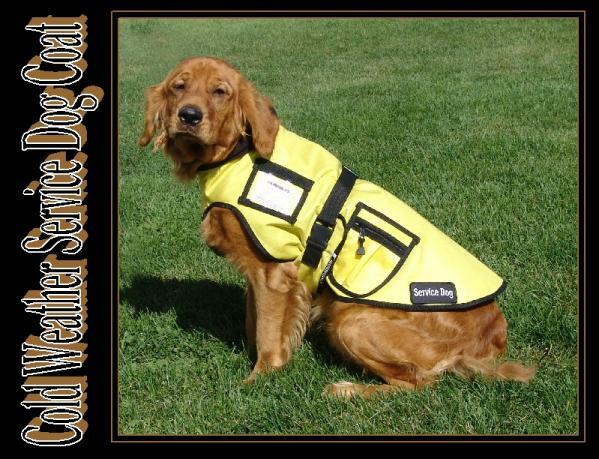 Select a Size: Medium 26" - 32" Large 29" - 37" X-Large 33" - 41"
Our Service Dog Cold Weather Coat was designed to give a little comfort to those working dogs that face the cold weather elements daily. 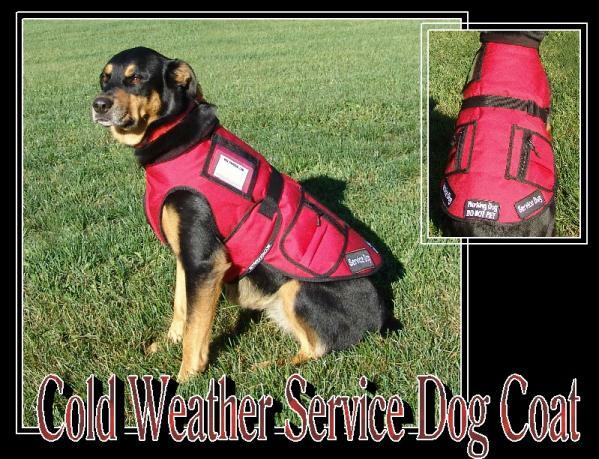 The coat is very easy to put on the dog as it slips over the dogs head and has an adjustable girth strap. The buckle for the girth strap is set back on the padded part of the strap flap so it will never rub against the dog. The chest is well covered and padded and yet at the same time cut high enough for the dogs front legs to have good movement. The neck has a roll down fleece collar attached to it. 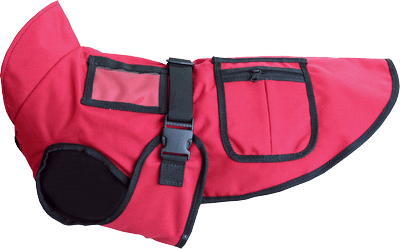 The coat collar sits far enough back so that you can still use your dog’s collar and leash. 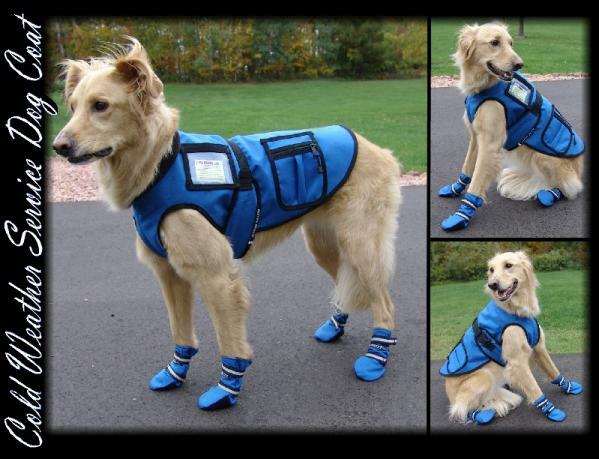 The coat is a generous length to cover much of the dogs back. 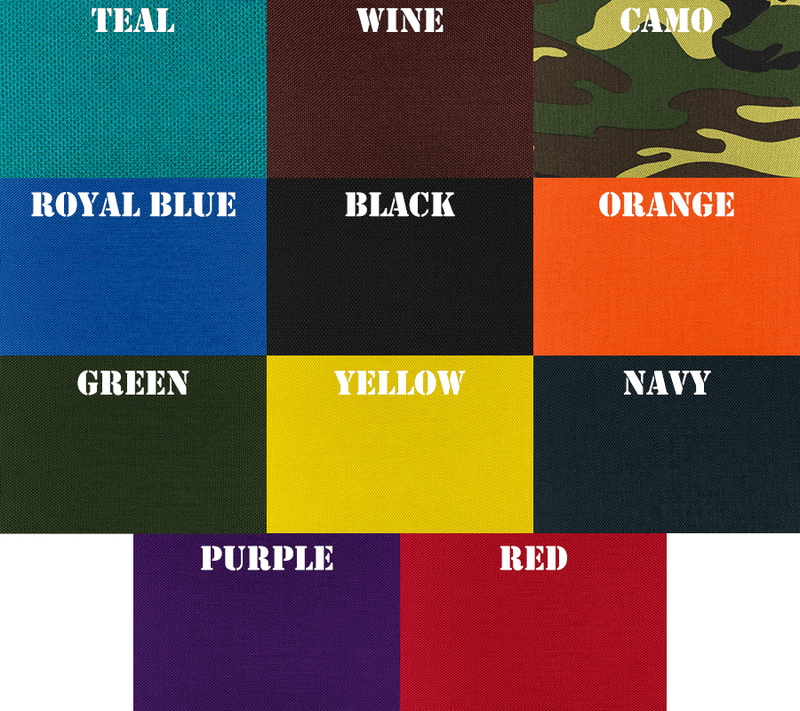 It is made of two layers of fabric the top layer is a 1000 denier cordura water proof fabric and the lining is a soft fleece material. All seams are reinforced and bound. There are two zippered pockets near the back. Near the front, there is a clear vinyl ID window pocket with a Hook and Loop closure. 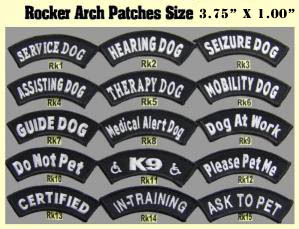 Comes with 2 regular patches (2" x 4" : not specialty patches) - sewn on at no charge. Additional patches are sold separately.